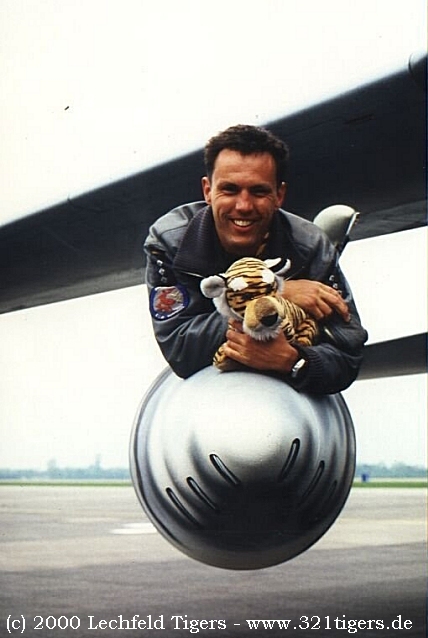 Tigerbaby entered the world of the 321 Tigers in 1994. Since then it has been on daily duty in the Squadron. From time to time it gets the strong drive to go crosscountry. 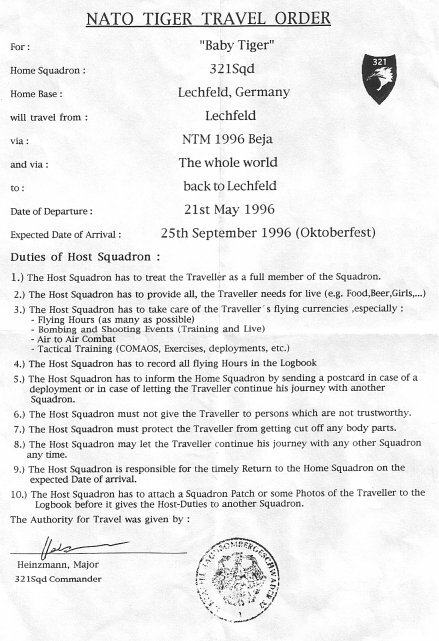 Equipped with a Travelorder it then visits squadrons around the globe and requests a flight with them in their aircraft on a representative mission. Of course does it have his own log-book. A glance at this tells us that flights on B1-Bs and F-117s are as usual as on ECR TORNADOs. 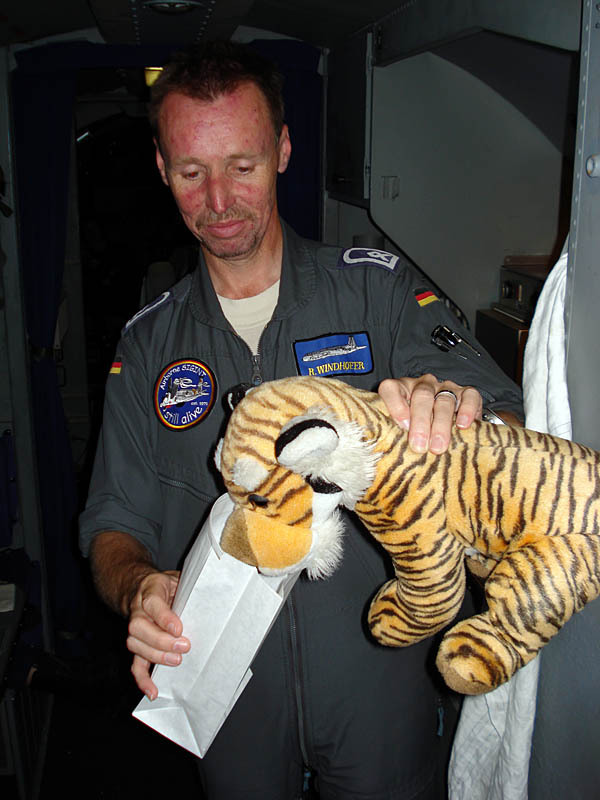 For details about the missions have a look into the FLYING LOGBOOK below! 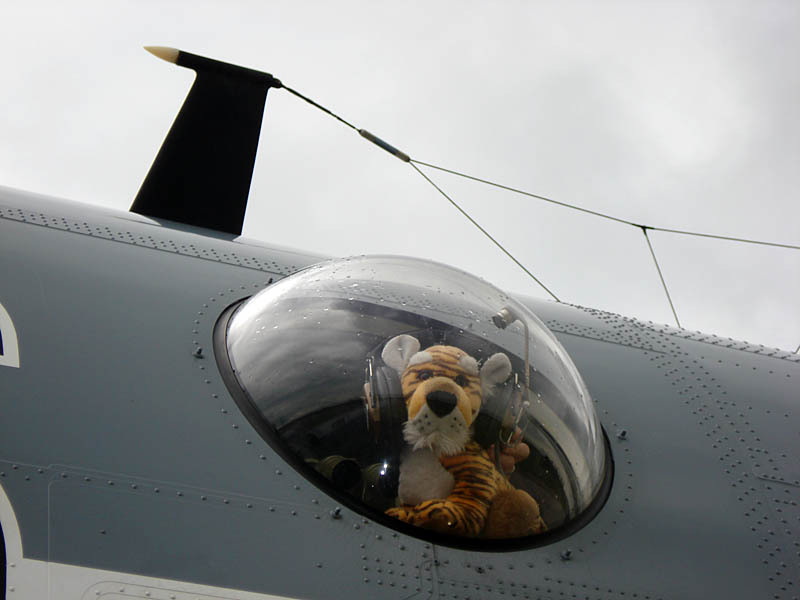 Tigerbaby tries and gets the "Record". Have a look at the long table with all the missions accounting for the record. 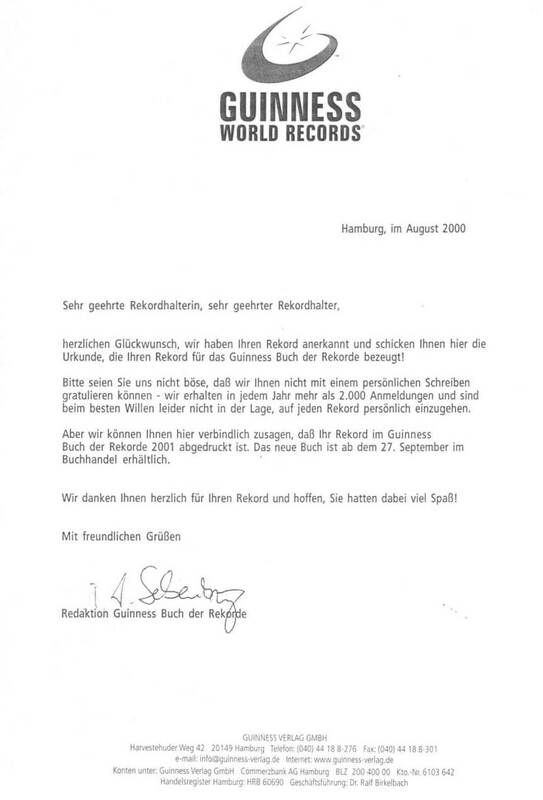 The proof of the Guinness record (click for enlargement). 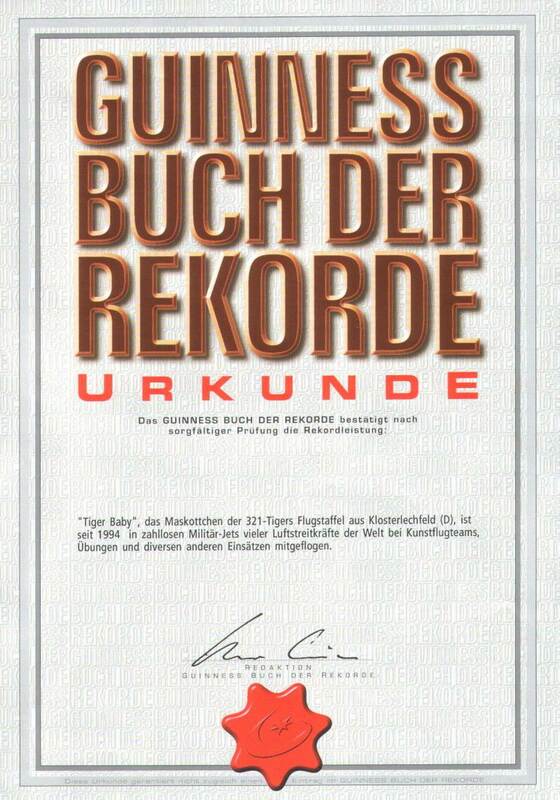 Sorry, german language only. 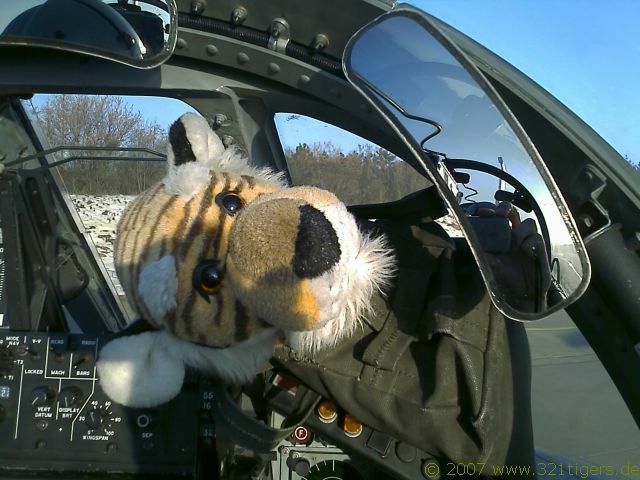 Tigerbaby in the land of the rising sun (central european view). 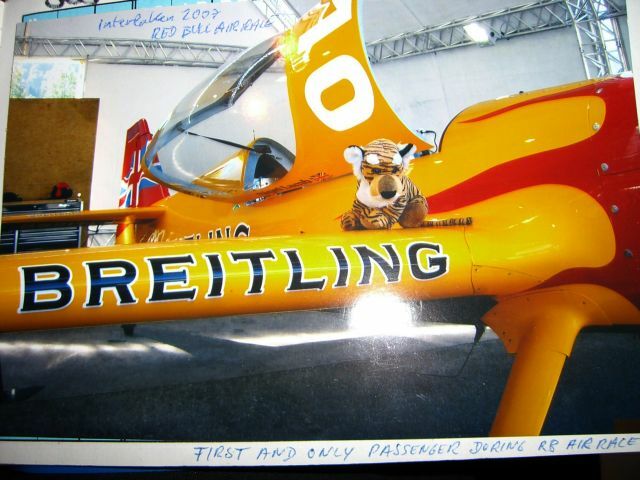 Read the story of the ferry flight of 3 Grob G120A-I to Israel. 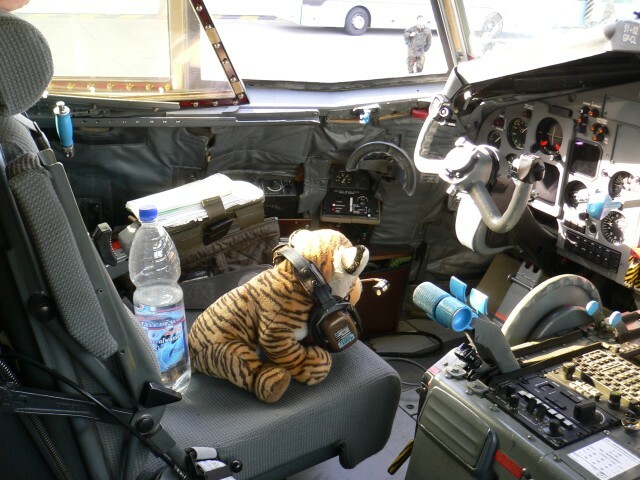 Further: Tigerbaby flys with the Desert Ducks to Kuwait. From there to the USA and Canada. 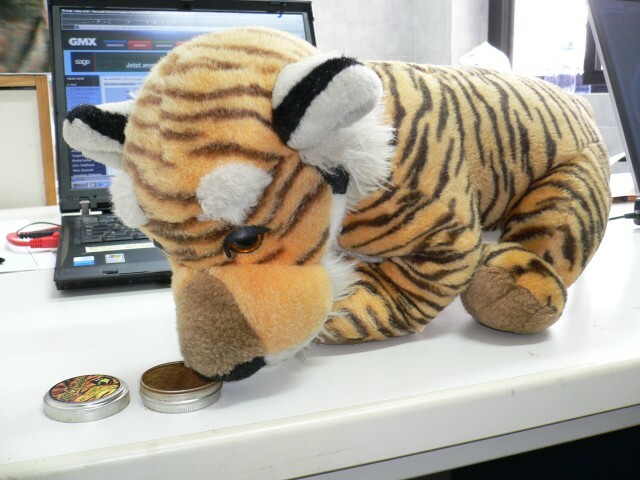 After a much too long ground time (it visited his relatives in the djungles) Tigerbaby continued a recurrency programme. 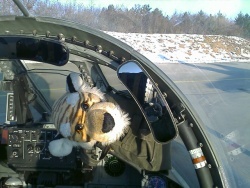 DOM gave him his re-qualification yesterday, so he was ready for Basic Fighter Maneuvers today. Already during the briefing Tigerbaby was nervous, aggressive and asked for Gs - he definitely needs to fly more often to calm down! 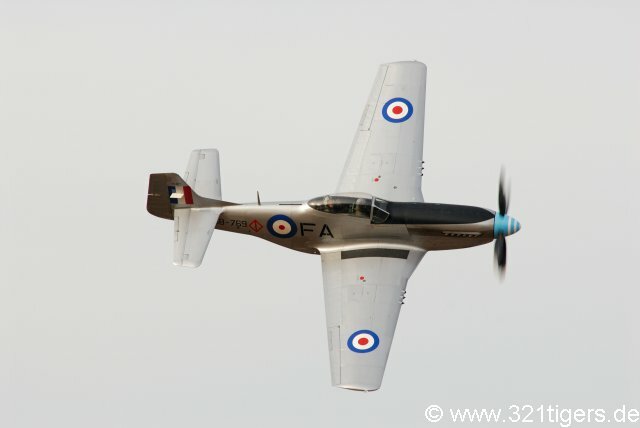 At the end he became current again on a short field landing with full thrust reverse - however he should have tightened his seatbelts a little bit better! Lesson learned. 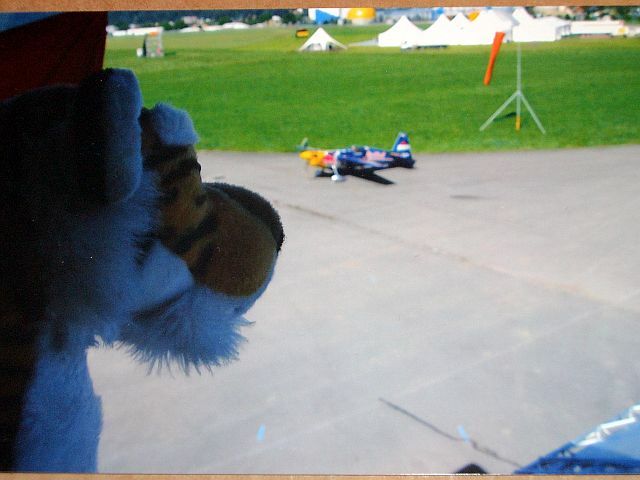 From 25-03-07 to 16-07-07 Tiger Baby accompanied the complete Red Bull Air Race World Tour 2007. The Tour started in Abu Dhabi, and went on via Rio De Janeiro, Monument Valley, Istanbul, Interlaken, London Budapest to Porto! 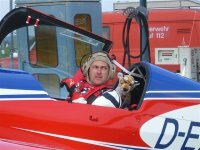 Tigerbaby's dad "Ecki" Eckhardt (Pilot Manager Red Bull Air Race) even managed to organize a passenger flight for Baby through the race track at Interlaken, which has never been granted before to anybody! 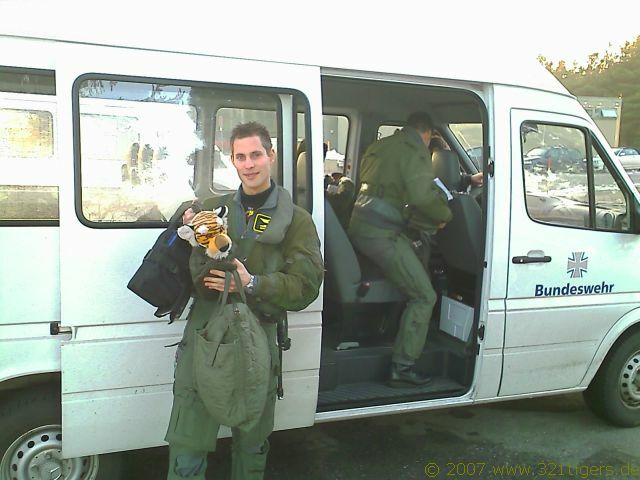 Also Baby was allowed to enjoy an airdrop out of 100 meters from the Bo-105 helicopter. 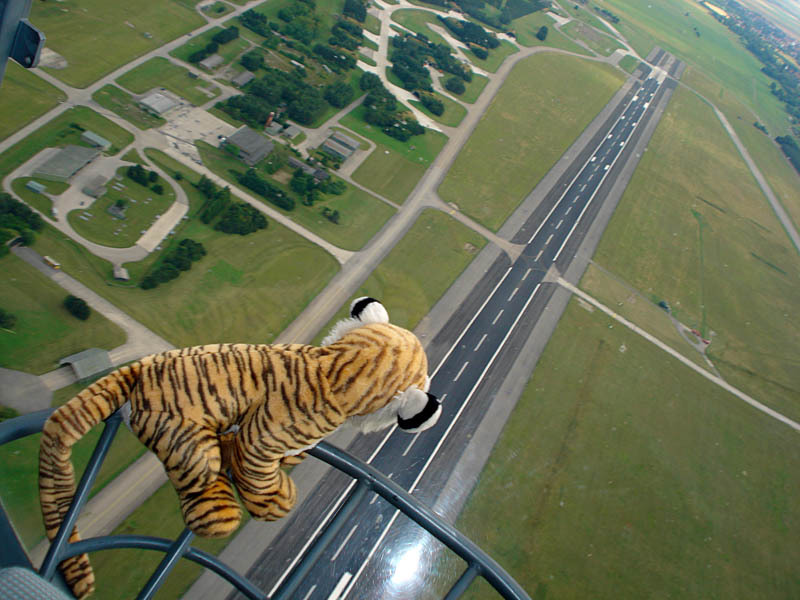 He landed unharmed. 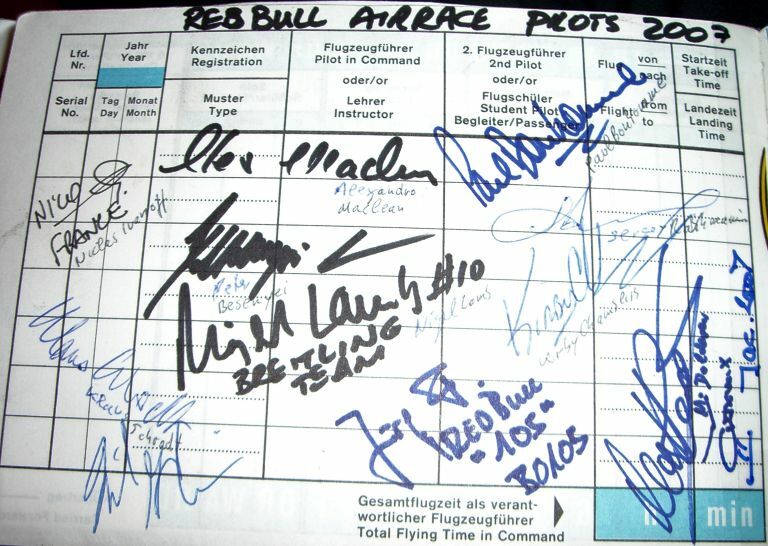 On 25-08-2007, Baby had a very special flight. 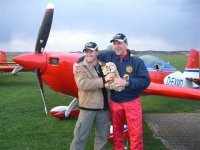 With a YAK-55 owed by Uli "The Copra" Dembinsky, Baby flew 222 Loops in 1hr 15min in Oppenheim, which was a new Guinness Book World Record! 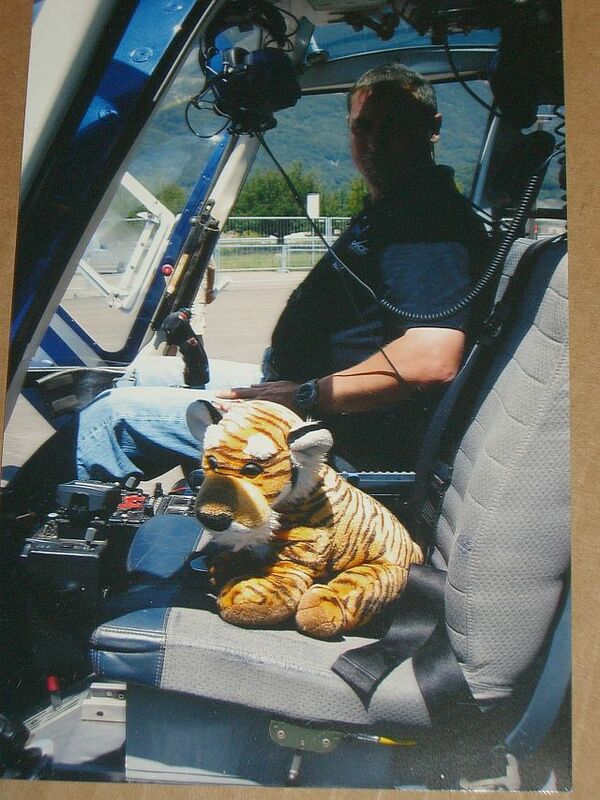 Currently Baby has 730 flying hours and 525 Lndings on more than 50 different A/C types and helicopters! Picture: Tiger Baby not scarred at all prior his airdrop from 100 meters altitude out of the Bo105! Tigerbaby participated in this years DECI part II exercise in Sardinia. 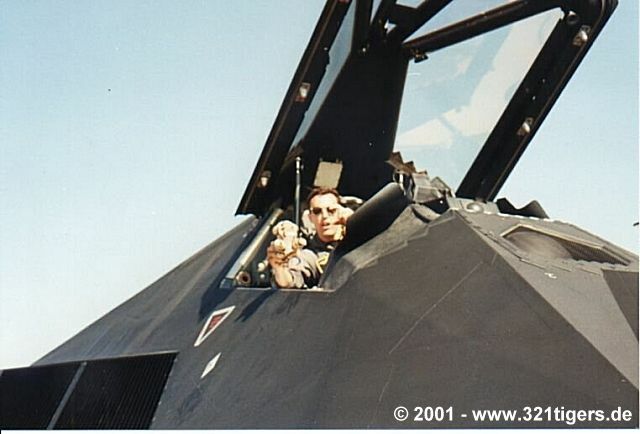 It was his pleasure prior the transition to take over the controls of the big bird and take it down to Decimomannu Airbase in Italy. On the pictures below you can see our mascot during this easy task. 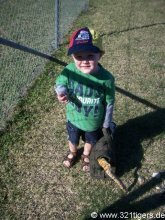 After the flight Baby ordered himself a big sniff for his excellent landing (others say it was the excellent Sarde Red Wine). 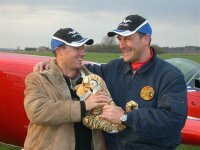 On the 12-04-2008 Tiger Baby participated at Tannheim landing strip in the rollout of the brandnew high performance acro airplane "Extra 330" which is owned by Matthias Dolderer. 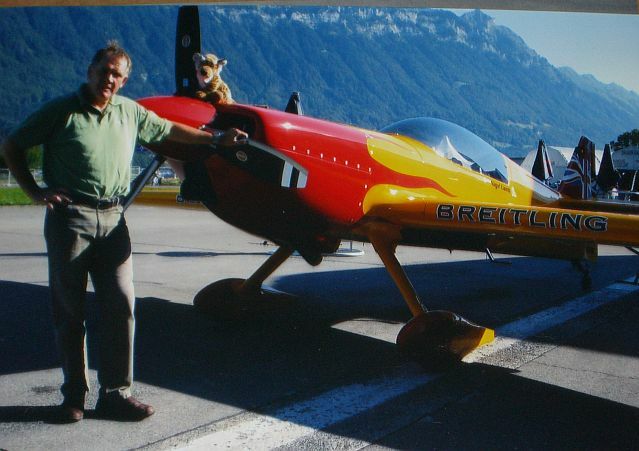 Here he was allowed (and invited) to take place in the cockpit of this 580 HP "power plant" during its first flying display. 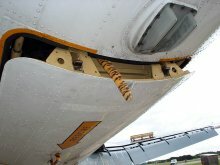 +8 and -4,5 were the max and min g loads which he had to stand. 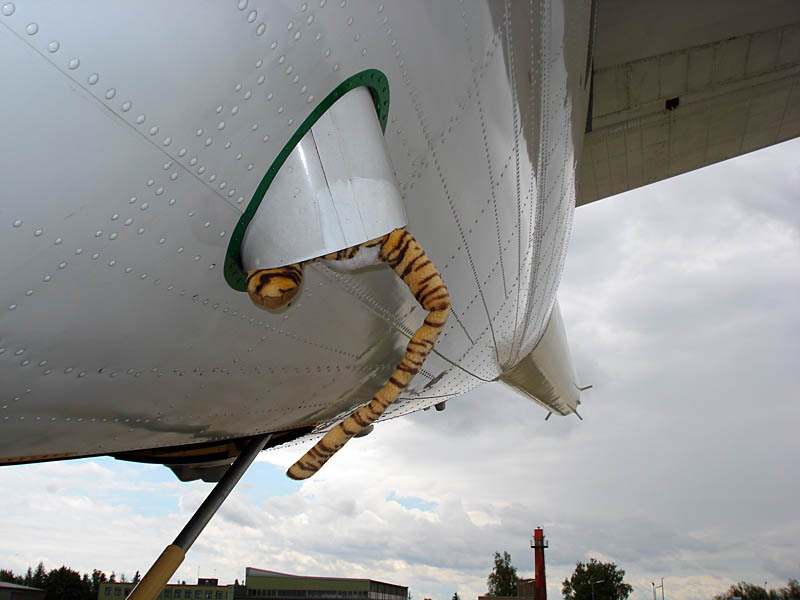 But, no problem for our well trained mascot. 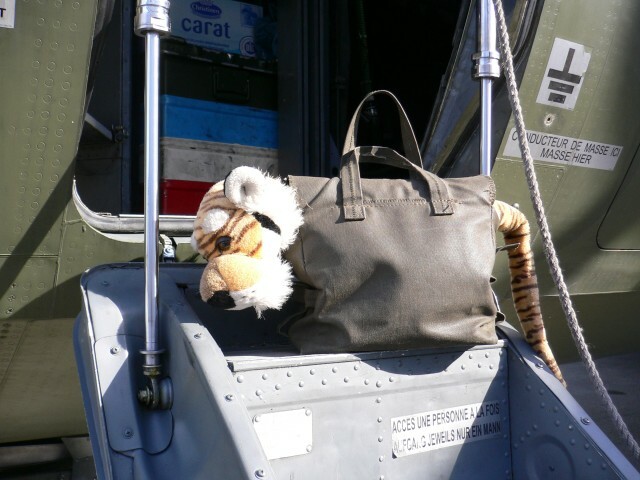 Just coming back from the exercise "GOOD HOPE" at Overberg AFB in South Africa, he has had a lot of sleep and feels extremely confident to tackle new challenges. 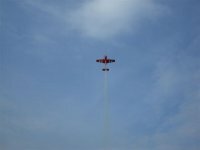 Matthias will participate in international championships with his airplane, which is by the way cleared for g loads between +10 and -10. 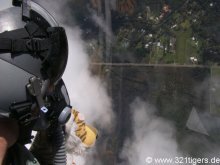 After this exciting event, Matt Hall an australian military F-18 Pilot and privat acro specialist takes over Tigerbaby and will bring it to "Down Under". 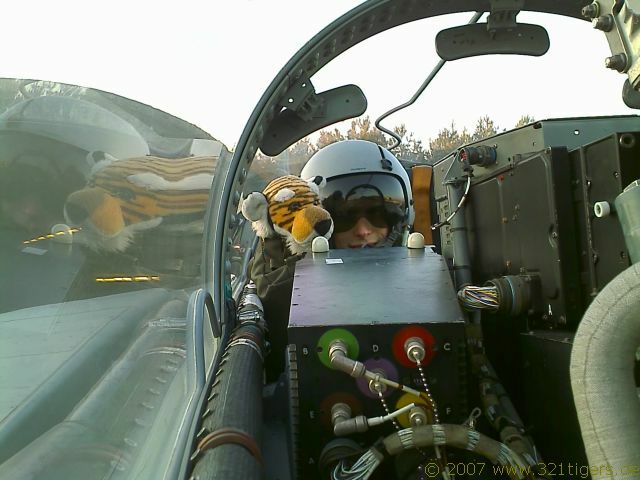 Spring 2008: Tiger Baby "Down Under"
On 12-04-2008, after Tigerbaby accompanied Matthias' "Extra 330" rollout and firstflight in Tannheim, near Memmingen, Bavaria, it was handed over to Matt Hall, an Aussi Airforce F-18 Pilot and acro specialist who took it with him to "Down Under". 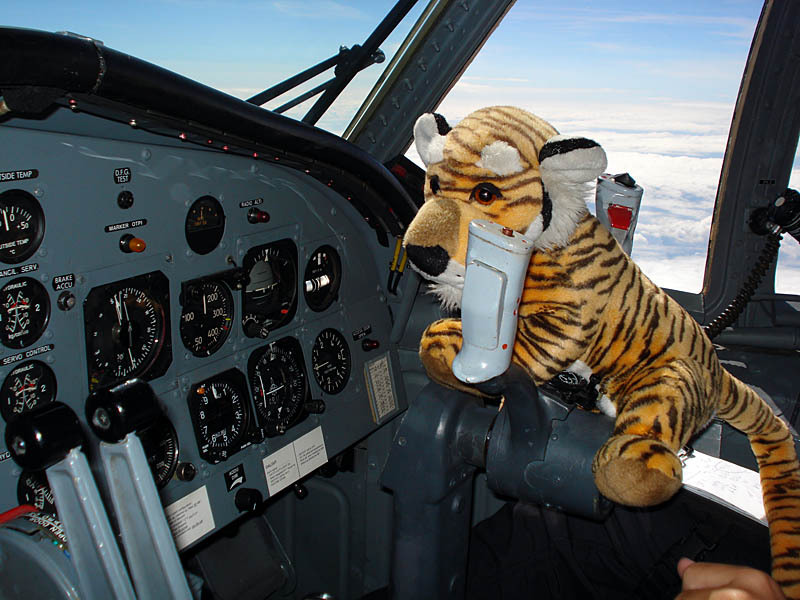 Here, Tigerbaby encounters one exciting flying adventure after the other. 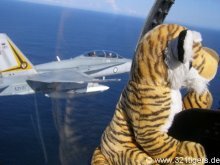 Of course does he accompany Matt and his squadron mates on many diversative F-18 missions over sea and over land. He enjoys it a lot during the short combat free times to look downwards (actually upwards) onto the left-lane traffic ;-)) Breathtaking also his flights on exotic and spectacular aircraft types like the "Tigermoth" and the "Mustang". The landscape is a hit but a little bit misses Baby the snow covered mountain tops and dark green meadows and forrests of a "springtime Bavaria". 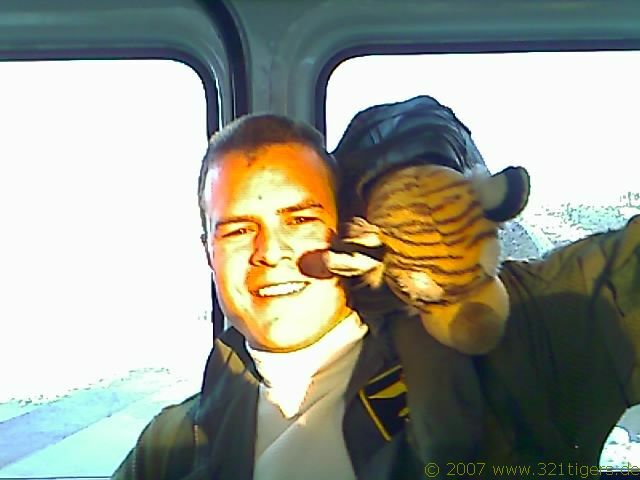 After those truely exhausting days (man, what a slang) Tigerbaby enjoys the friendship and care of Matt's little boy. 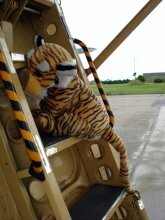 Tiger Baby is back from Overberg, South Afrika, where he participated together with the FBW 32 jets in the exercise 'Good Hope 2008'. 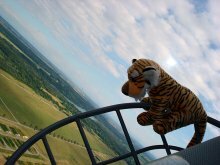 HARRY our designated top-tiger-tamer documented the whole journey and the exercise in a web blog which he had set up prior departure. 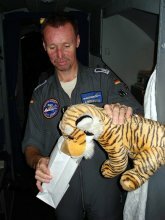 Read this most interresting story (in German language only) and please, if you understand a bit, add a comment to it! 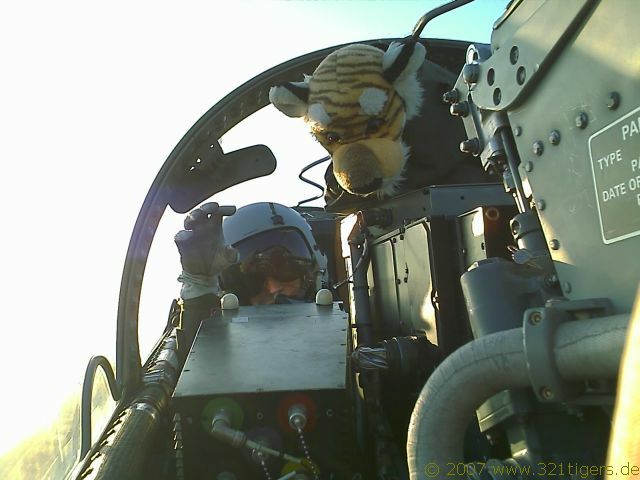 Many of you will ask yourself the question: "what the heck is a high value asset like our Tiger Baby doing during a high value exercise like ELITE?". Here is the solution: Tiger Baby was enroute with a secret mission which was so secret that we were not able to talk earlier about it. 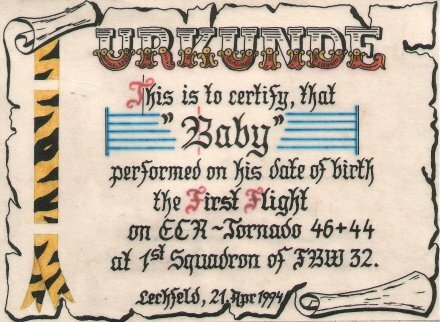 Although Baby flew already on such illustrious airplanes like F-117 or B1-B, there was one very special mission missing so far in Baby's history: a flight on the proudest bird of military aviation (German NAVY view of things), the Breguet 1150 Atlantique SIGINT. 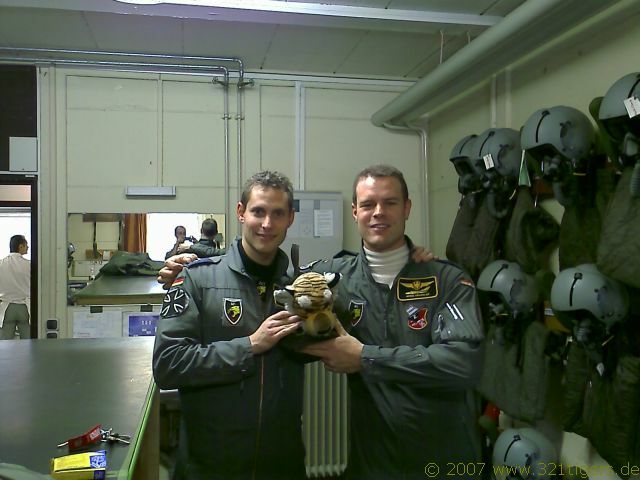 Together with all the forces of the electronic reconnaissance and early warning, with the Lechfeld ECR Tornados and the CRC (controlling and reporting center) Messtetten, during exercise ELITE, it produced an early warning and air situation picture for the attacking forces. After a thorough saftety check which was finished with status U5 (is allowed to eat and drink coffee on board and use the toilet) it finally became reality. 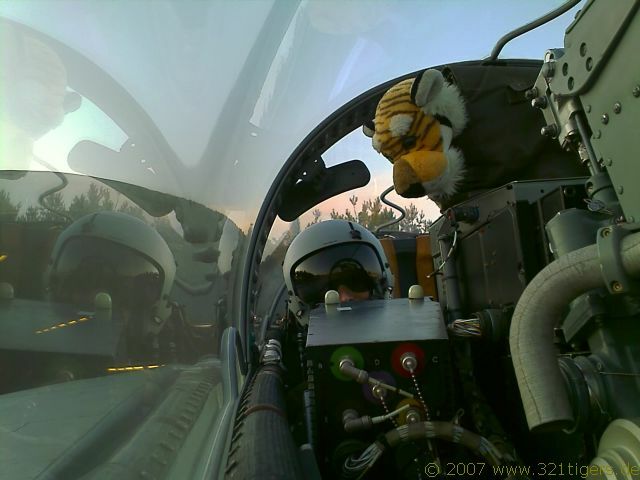 For this operational mission on date 09-07-2008 during exercise ELITE an official company request could be turned in. 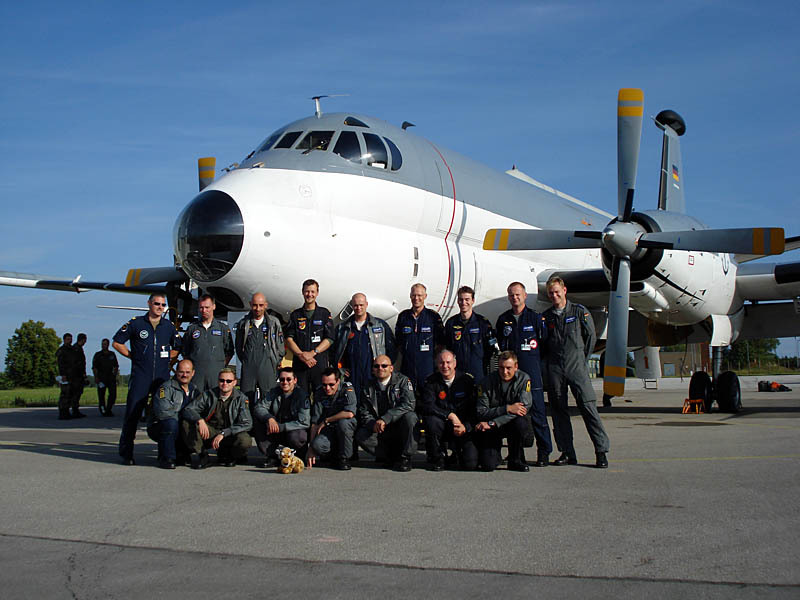 The "German Navy Flooding Commando" allowed the participation in the mission on hightest level possible. 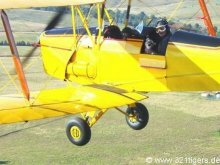 After some minor confusion because of the funny access to the airplane at the back, Baby started right away to manage routine tasks on board. 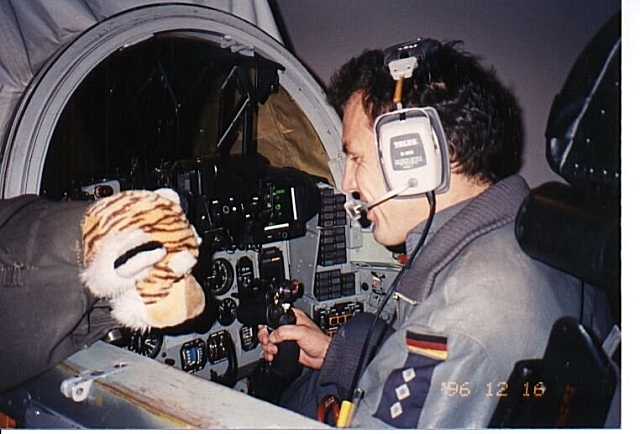 After a superb lunch on board Baby piloted German Force's largest fighter airplane (haha) back to Lechfeld. 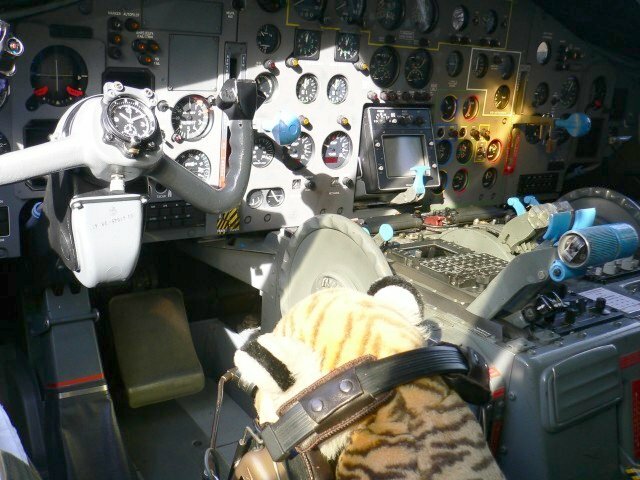 Some approach patterns later Baby was able to recognize and identify his squadron from the air and landed after 5:10 hours of flying time safely at its home station. 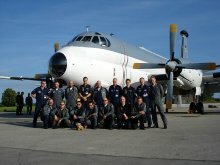 After filling in the neccessary data in its personal flying logbook Baby posed together with the crew for a final picture. 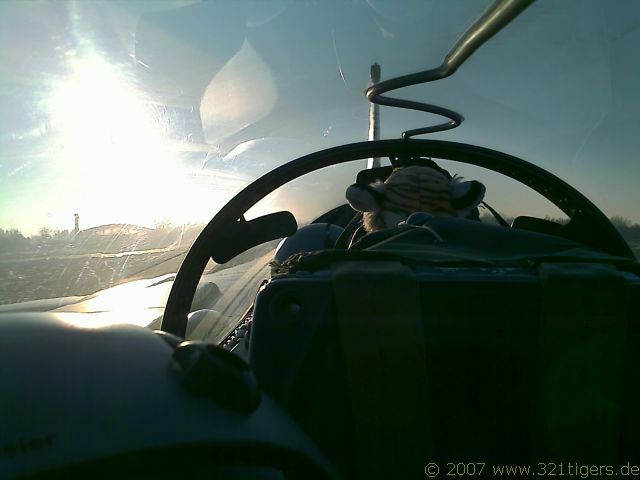 This flight constitutes - after Baby's entry into the Guinness Book of Records in 2001 - an absolute highlight in his life.